BEIJING — China announced Saturday that it will limit energy supplies to North Korea and stop buying its textiles under U.N. sanctions imposed over its nuclear and missile development, further reducing support from Pyongyang's last ally. Exports of refined petroleum to the North will be limited to 2 million barrels per year, effective Jan. 1, the Commerce Ministry said. Sales of liquefied natural gas are banned outright. North Korea depends on China for almost all its oil and gas but estimates of its consumption are low, leaving it unclear how Beijing's new limit will affect them. The restrictions announced Saturday do not apply to crude oil, which makes up the biggest share of energy exports to the North. China also will ban textile imports from the North, the ministry said. Textiles are believed to be the North's biggest source of foreign revenue following rounds of U.N. sanctions under which Beijing cut off purchases of coal, iron ore, seafood and other goods. 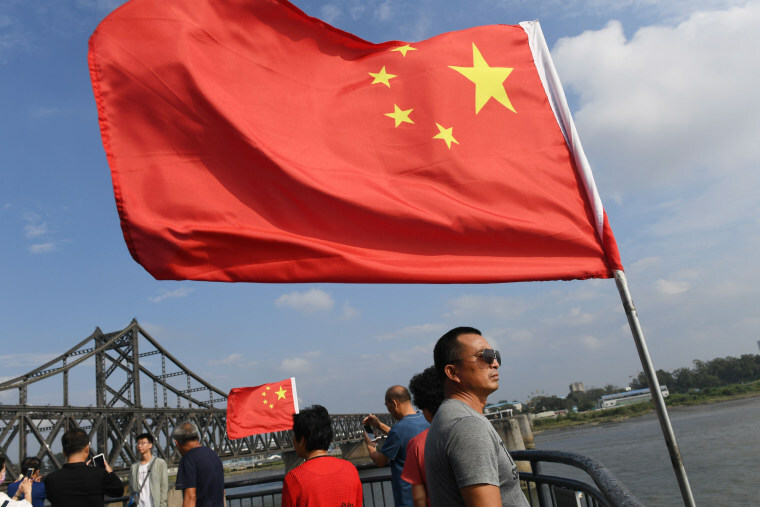 China accounts for some 90 percent of the North's trade, making its cooperation critical to efforts to derail Pyongyang's nuclear and missile development. Chinese leaders were long the North's diplomatic protectors but express increasing frustration with the government of Kim Jong Un. They support the latest U.N. Security Council sanctions but are reluctant to push Pyongyang too hard for fear Kim's government might collapse. They also argue against doing anything that might hurt ordinary North Koreans. Chinese officials complain their country bears the cost of enforcing sanctions, which have hurt businesses in its northeast that trade with the North. The U.N. Security Council voted Sept. 11 to limit fuel supplies and ban the North's textile exports. China, one of five permanent council members with power to veto U.N. action, agreed to the measure after the United States toned down a proposal for a complete oil embargo. Petroleum exports for use in the North's ballistic missile program or other activities banned by U.N. sanctions also are prohibited, the Commerce Ministry said. The U.S. government's Energy Information Agency estimates the North's 2016 daily imports from China at 15,000 barrels of crude oil and 6,000 barrels of refined products. That would be the equivalent of almost 5.5 million barrels of crude and 2.2 million barrels of refined products for the full year. North Korea has abundant coal but depends almost entirely on imports for oil and gas. North Korean textile exports in 2016 totaled $750 million, according to South Korea's Korea Trade-Investment Promotion Agency. It said nearly 80 percent went to China.